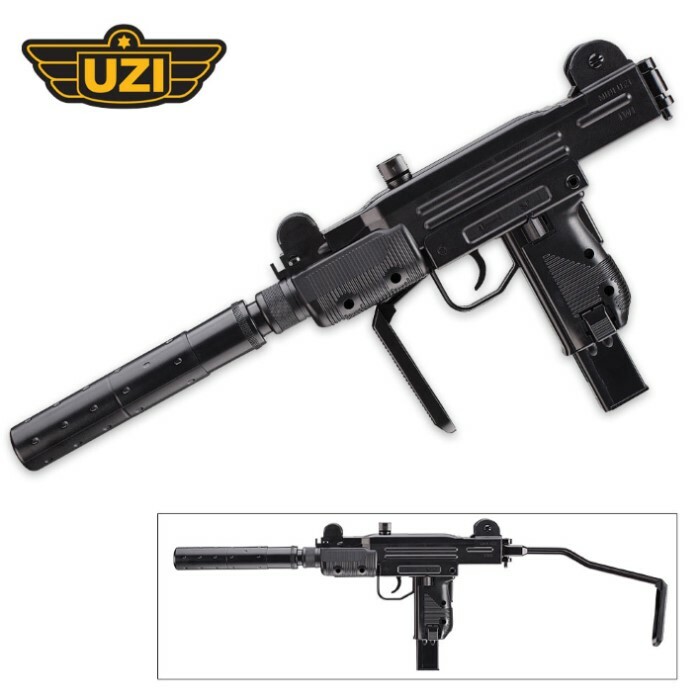 UZI Mini Carbine With Mock Silencer | BUDK.com - Knives & Swords At The Lowest Prices! 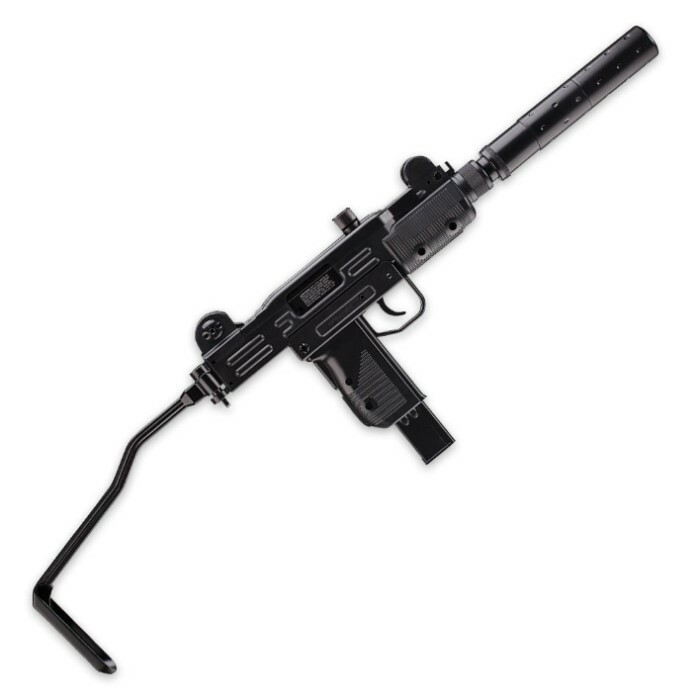 You get realistic blowback action with the UZI Mini Carbine and, combined with the semi-automatic action, it really gives it that realistic feel. It has a drop-free 28-round magazine to keep you shooting for awhile and the barrel is 5” in length. 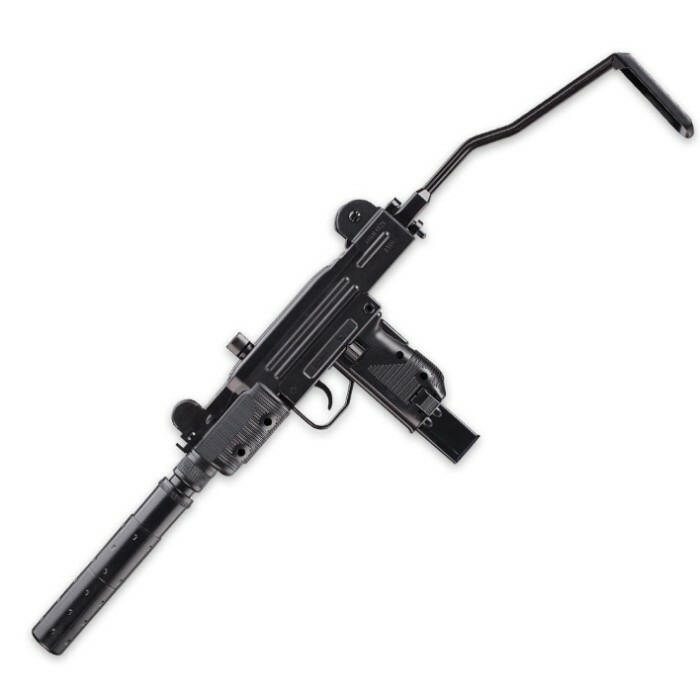 It has a folding stock with a functioning grip safety and a CO2 compartment in the grip. It also has a fixed front sight and a fixed flip-up rear sight with two apertures. It includes a removable mock silencer.